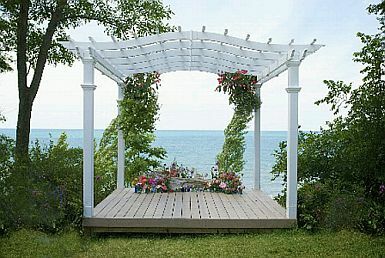 Pergolas are normally used for outdoor weddings, sometimes where the wedding takes place, but really depends on where you want to celebrate your wedding, if you chose the site that does not have one, do not worry, specialists often offer pergolas and in some cases even made especially for each event, so if you want or need within a inside closed room, you can have one. The decoration of these elements is usually quite simple, since its structure itself, called enough attention and when used for an outdoor celebration, the environment that surrounds it, is the perfect decoration for it. This pergola is part of the architecture of the place, so the only decoration is a thin strip with bright beads. 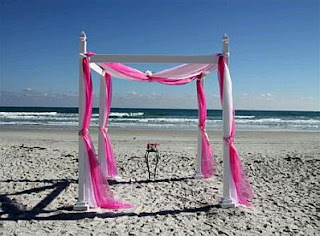 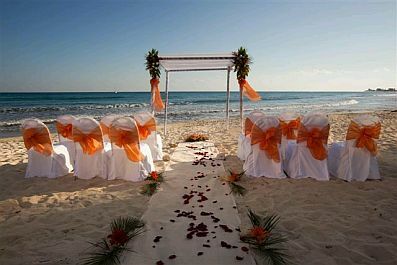 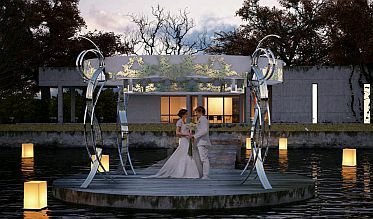 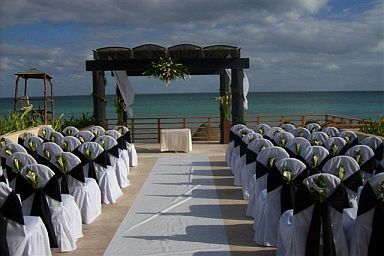 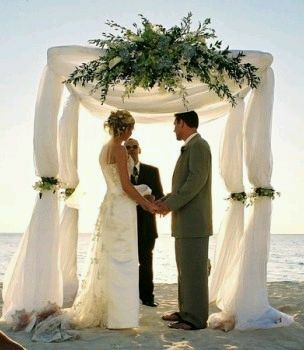 It is quite recurrent use of pergolas for weddings on the beach, and as you appreciate the following pictures, you do not need more according as the natural frame becomes the perfect decoration. 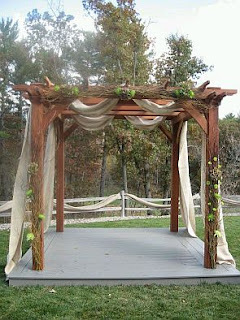 If you want something more rustic, this pergola and decor, are a good example. 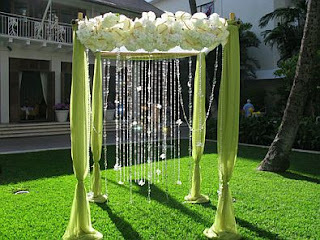 Nice example of how well these elements are in an outdoor wedding and likewise the decor is quite simple. 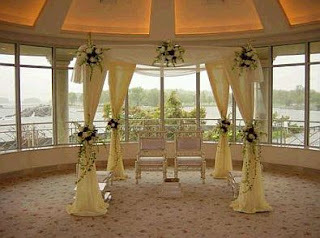 If you want your wedding to be the princess type, very romantic and elegant, this may help. 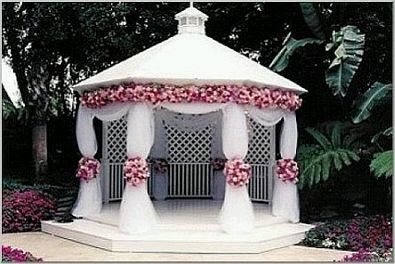 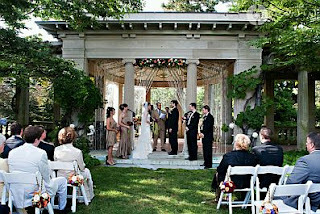 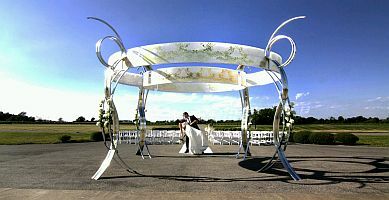 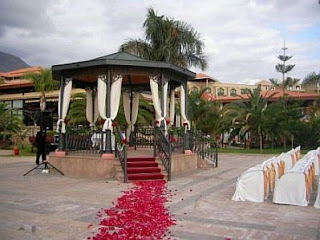 Wonderful metal pergola on the red carpet of petals, add the dramatic touch. 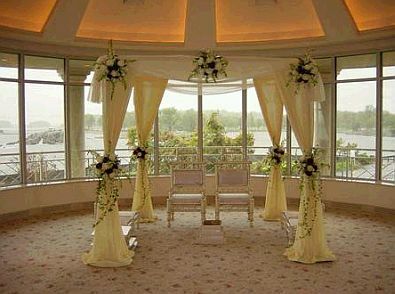 Example of how well the pergolas are placed inside a room. Finally, if yours is the originality and want to surprise your guests with an impressive wedding decorative details, the next pergola is ideal for you.